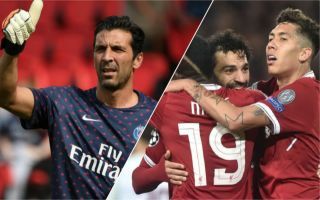 Gianluigi Buffon has claimed that Liverpool’s attacking trio of Mohamed Salah, Sadio Mane and Roberto Firmino is the best in world football, even better than his PSG teammates Neymar, Kylian Mbappe and Edinson Cavani. Liverpool’s dangerous front three is one of the main reasons why they’re one of the most feared sides in Europe, a viewpoint that seems be shared with a certain Mr Buffon! These words from Buffon are surprising to say the least, as one would think that surely, on the eve of a big game against Liverpool, the Italian would claim that PSG’s attacking trio are superior to that of Liverpool’s. Salah, Mane and Firmino were almost unstoppable last year, as their goals and overall play proved to be a massive part of the Reds’ run to the Champions League final, where they eventually lost to Real Madrid. One of the key differences between Liverpool’s attacking trio and PSG’s seems to be that Neymar, Mbappe and Cavani constantly struggle to deliver in big games, a problem that Salah, Mane and Firmino don’t ever really seem to have. 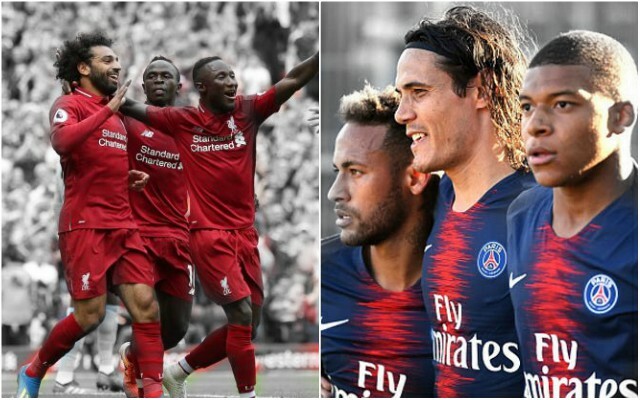 We’ll be able to see which one of the two attacking trios is the best once and for all when PSG come up against Liverpool in the Champions League on Wednesday, with the French giants in need of a win to keep their dreams of qualifying for the round of 16 alive.